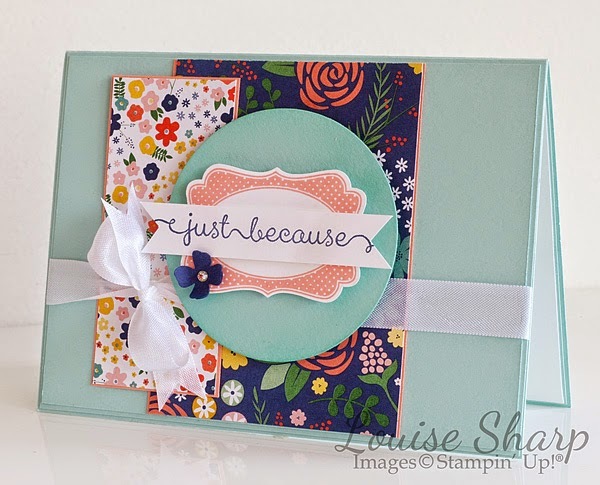 Just Because - It goes beyond stamping! I am part of an amazing group of stampers and have made amazing friends through Stampin' Up! and some I haven't even met! The internet can provide so much virtual love and friendships and I feel so blessed to be part of such a loving and supportive group of people. I made this card for a surprise person in a facebook group I am part of and this lady always comments, likes and encourages others. She is so supportive of everyone and I just wanted to let her know that I always appreciate her virtual love!